It was an exciting year in real estate for RiverPark. The increase in activity at The Collection helped perk interest in the RiverPark community that surrounds it. We live in one of the most desirable new neighborhoods in West Ventura County. The numbers are staggering. A total of 68 RiverPark homes were sold in 2013. The Median Sale Price for the first half of the year was $327,500. The Median Sale Price for the past 90 days has increased to $349,000. For the first half of the year, the Median Days on Market until a RiverPark home went into escrow was 71 days. The Median Days on Market has decreased to 53 days for the last quarter of 2014. The Median Sale Price for Sellers was 99.02% of their original asking price during the 1st half of the year. During the last three months of the year, the Median Sale Price for Sellers was 98.95% of their asking price. This means that successful sellers priced their homes to sell about 1% above the actual sale price. Successful sellers did not grossly inflate their asking price. 2014 saw the completion of communities built by Shea Homes and Standard Pacific Homes and the commencement of a new community in RiverPark being developed by Comstock Homes. The first half of 2014 saw 52 homes go up for sale. The final quarter of the year showed 17 homes being offered for sale in RiverPark, which is a 3 month supply of homes based on the current rate of sales. In contrast, the previous quarter from July to October saw 36 homes offered for sale which translated into a 5.4 month supply of homes. What we are seeing in RiverPark is pretty decent interest and activity in our community. It comprises a significant percentage of the real estate transactions in Oxnard. If you are considering selling, keep in mind that although prices are inching upward, a 3 to 5 month supply of homes can present some pretty tough competition when it comes to attracting buyers. Successful sellers of RiverPark real estate are usually ones that contract the services of experienced Realtors who have specialized in RiverPark sales, or those that live in RiverPark. Their experience with local RiverPark issues and ability to handle questions about our HOAs and Mello Roos fees giver Sellers an edge over those who are not. 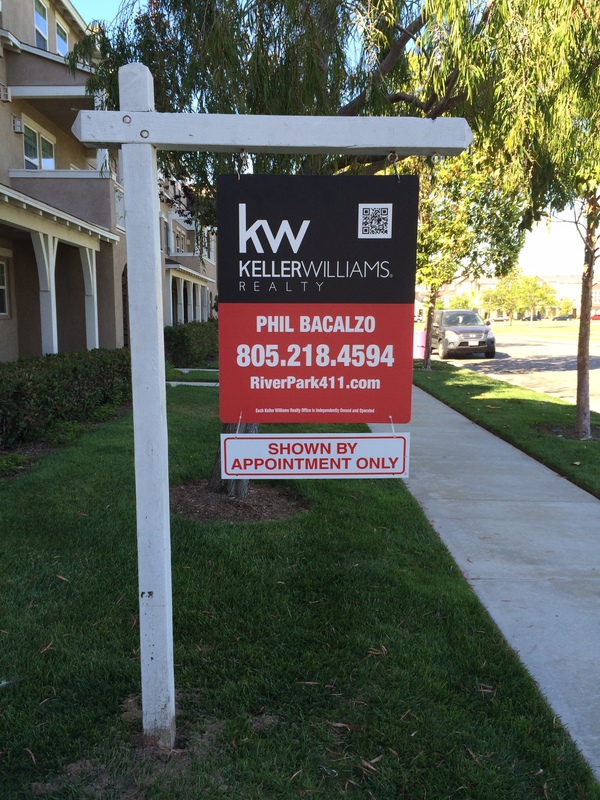 I live, work and maintain an office in RiverPark at Keller Williams, Preferred Client Group, 2831 N. Ventura Rd., 805-218-4594, but there are other Realtors who also live in our community that may serve you as well. If you are thinking of selling your RiverPark home in the near future, you can click on the link above “What’s My Home Worth” for more information. If would like a copy of the RiverPark Market Conditions Report for 2014, just fill out the form below and it will be emailed to you. RiverPark and The Collection are fast becoming one of the most popular communities in Ventura County.